As craft distilling continues to surge, some breweries are looking to spirits to boost their bottom line. A growing number of brewers are hybridizing their operations and adding spirits to their offerings. 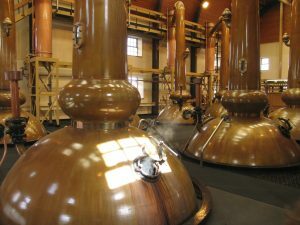 There are already 256 American businesses that hold both brewer’s and distiller’s licenses, according to the U.S. Alcohol and Tobacco Tax and Trade Bureau.